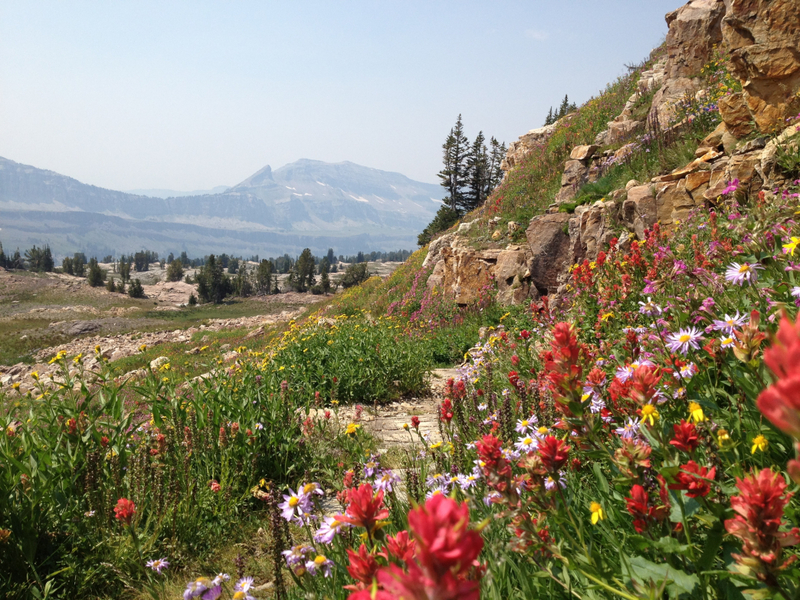 Alaska Basin is a favorite among many Jackson Hole locals. 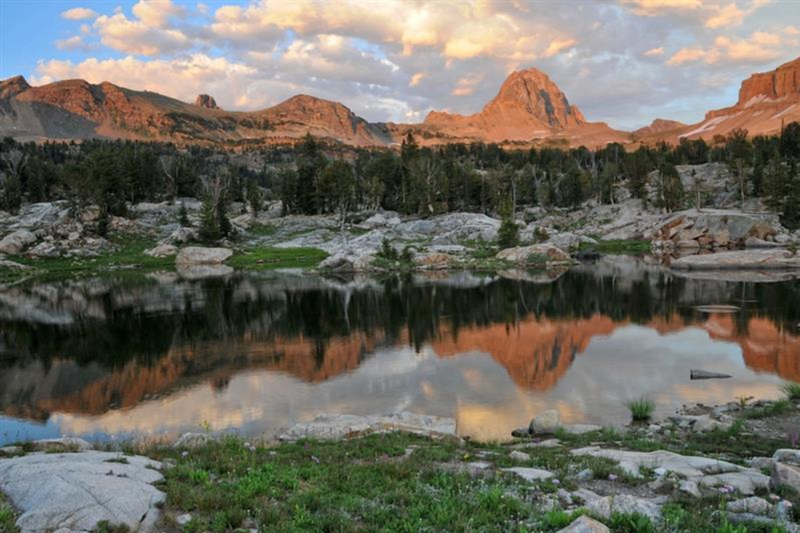 Whether taking advantage of some of the wonderful camping spots with an overnight trip, or simply going out for a long day hike or run, you're sure to find something to suit your fancy in this gorgeous wilderness area. One of many people's favorite places in Grand Teton National Park isn't actually in Grand Teton National Park. North of the Death Canyon Shelf, south of Hurricane Pass, and west of Buck Mountain, Alaska Basin and its rich fields of wildflowers, (which are generally at their peak in late July and early August), is squarely in the Jedediah Smith Wilderness. The fact that Alaska Basin is in the Jed Smith Wilderness means it is your best bet for a last-minute backcountry trip in Jackson Hole. 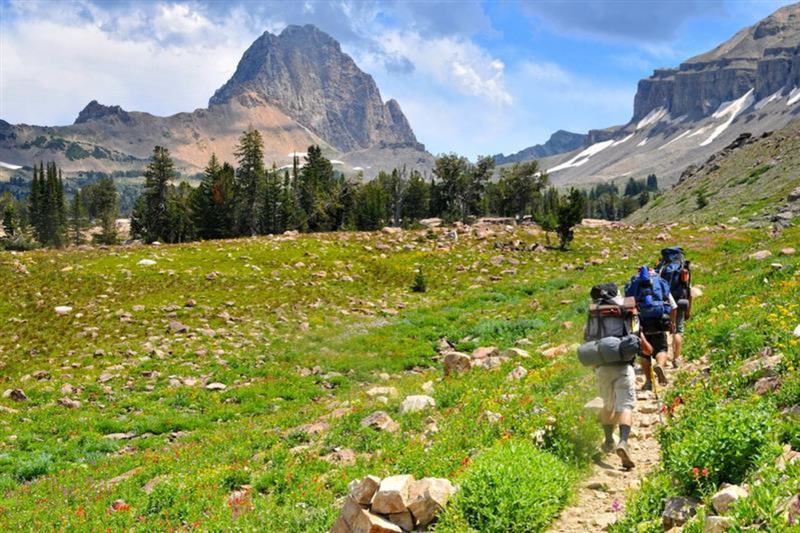 Unlike in GTNP, Wilderness areas do not require overnight camping permits. Or, if you don't want to stay the night, you can just as easily take a day trip to Alaska Basin. Local trail runners can do a 20-ish mile loop in about four hours. Here's how to do it both ways. 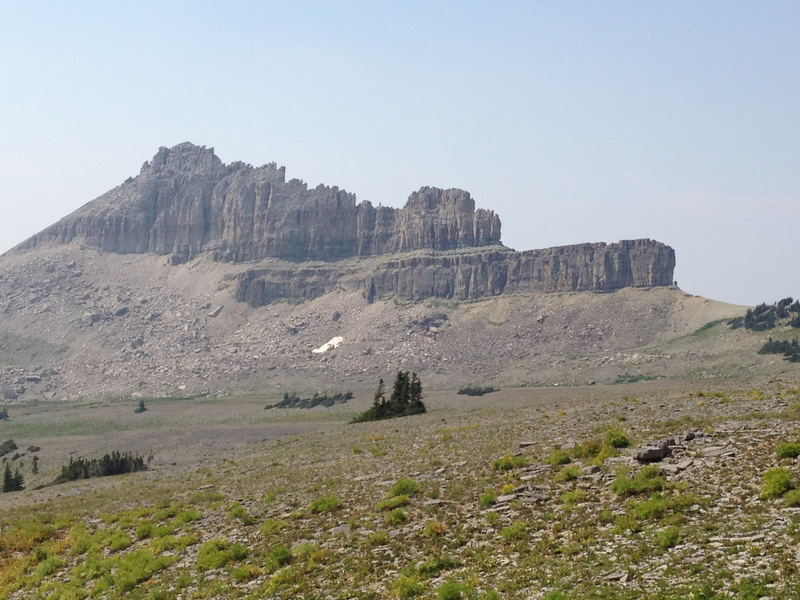 The shortest route into Alaska Basin is up Death Canyon and then over the Static Peak Divide. Static Peak Divide gives way to Buck Mountain Pass. Alaska Basin starts on the other (western) side of Buck Mountain Pass. 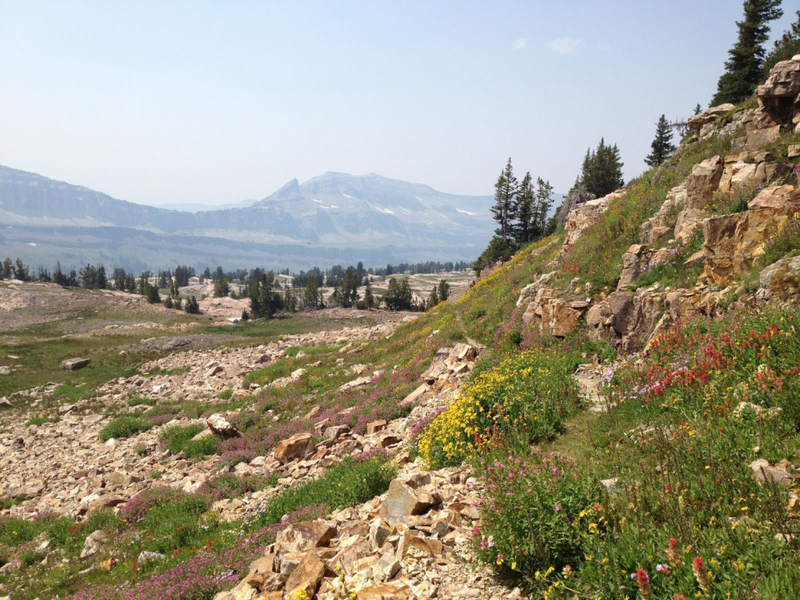 Buck Mountain Pass, as well as Static Peak Divide, sometimes hold patches of snow later into the summer than most any other section of hiking trails in the park. Check with rangers for current conditions and, if rangers recommend an ice axe, don’t take their suggestion lightly. From the Buck Mountain Pass saddle, which is just under 10 miles in and 4,500 (or so) vertical feet up, a 4.7-mile trail loops around Alaska Basin. But if you don’t want to do the loop, you don't have to at all. 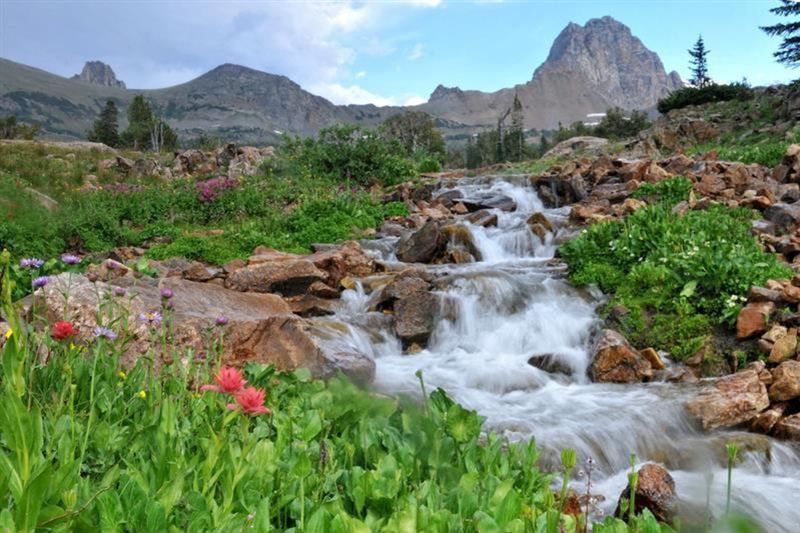 Hike down into the uppermost reaches of the Basin—it undulates between 9,200 and 9,700 feet in elevation—before turning around and returning the way you came. A longer day trip option is heading to the back of Death Canyon to Fox Creek Pass, turning north along the Death Canyon Shelf and entering Alaska Basin down the Sheep Steps from the south and then looping out to Buck Mountain Pass and Static Peak Divide. If an out-and-back to Alaska Basin via Static Peak Divide is 20 miles (not counting the 4.7 mile loop around the Basin), this is somewhere between 23 and 25 miles. Or you could enter Alaska Basin via Buck Mountain Pass and then loop out to the north, hiking/running over to Sunset Lake and Hurricane Pass and descending the South Fork of Cascade Canyon. 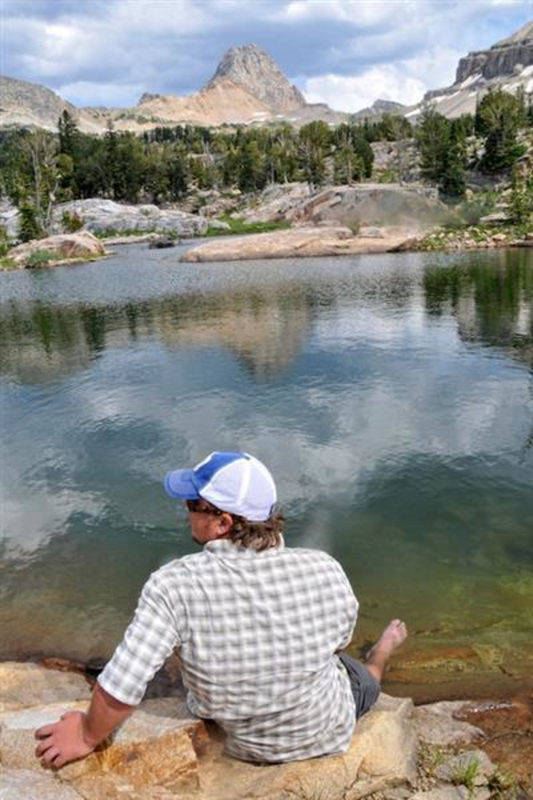 This option, although gorgeous—the Schoolroom Glacier is one of GTNP's highlights (and is actually in GTNP)—is less convenient because you come out at Jenny Lake while your car is at the Death Canyon Trailhead. If you’re heading into Alaska Basin for an overnight, there’s no good reason to make it an out-and-back. 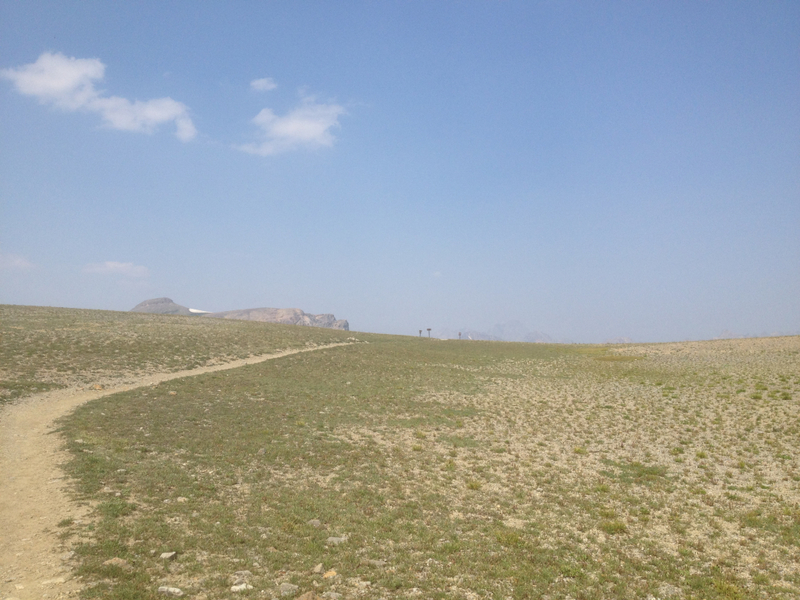 Why not see fresh scenery the entire trek? To do so, enter the Basin from the south and exit at Buck Mountain, or do the opposite. Now you just have to figure out where to camp. There are so many wonderful spots tucked all over the place. Ask Skinny Skis staff for some of their favorites. I won't try to describe my favorites because I have too many, (and also because I don’t want to plan an overnight there only to roll up to my favorite camp spot and find you pitching your tent there!). Water is plentiful throughout the Basin. Opportunities to hang your food to keep it out of the reach of animals are more variable. Some areas of the Basin have plenty of options. Other areas have nothing but low-lying shrubbery. I've seen black bears—note the plural—in Alaska Basin. And each of the four times I’ve seen them, the bears have run away from me faster than I could say “bear spray.” Make sure to store your food so that this continues to be the case. You can access Alaska Basin via the west side too, but this entry is already too long. Stop in at Skinny Skis or Moosely Seconds and ask how. 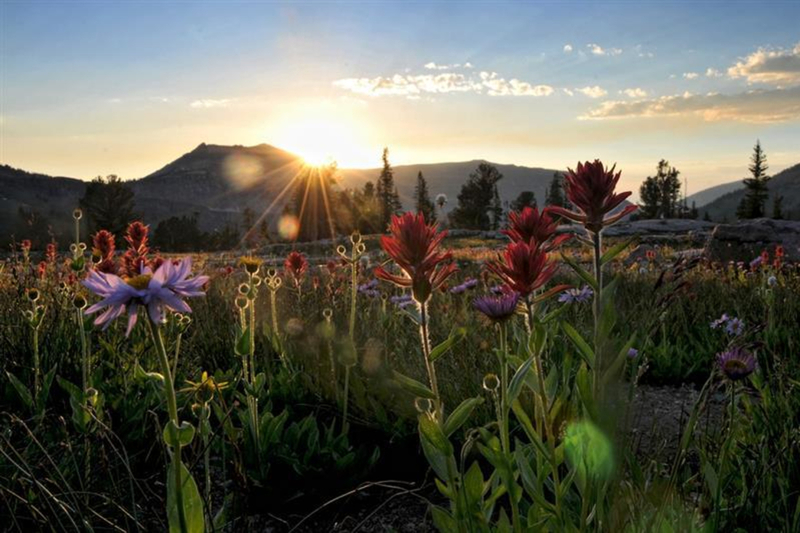 Wildflowers, rushing streams, serene lakes - who wouldn't love that? From Jackson, drive to Driggs, Idaho and turn onto Ski Hill Road. Once you get through Alta, WY, drive for a mile and turn right onto Teton Canyon Rd. The trailhead is right after crossing two single-lane bridges.